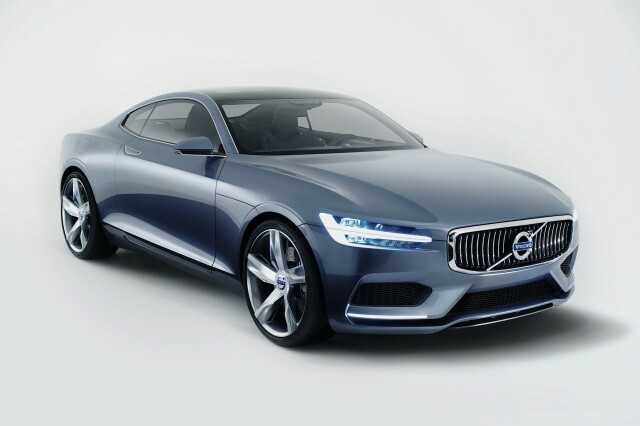 "The new Volvo Concept Coupé reveals how we could shape our cars from now on. 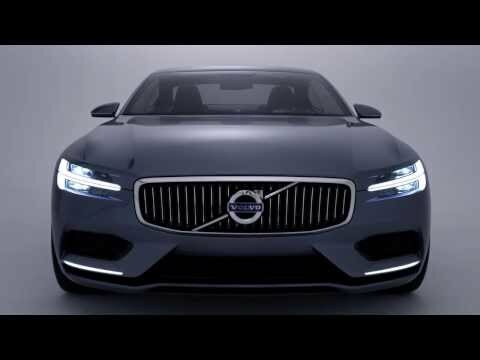 Free from the superficial surface excitement of other car brands, we add emotional value to the Volvo brand with the calm, confident beauty that is the hallmark of Scandinavian design." Those are the words of Volvo's new Senior Vice President of Design, Thomas Ingenlath. They're words we can get behind--the Swedish automaker's new plug-in hybrid coupe concept is stunning, and would be a welcome addition to a market not known for its aesthetics. The new concept will debut at this September's Frankfurt Auto Show, and whether or not it makes it to the market unscathed, its styling cues will feature on Volvo's next generation of models, including the new XC90 SUV due to appear next year. Volvo has already experimented with electric cars and plug-in hybrids, as well as downsizing. 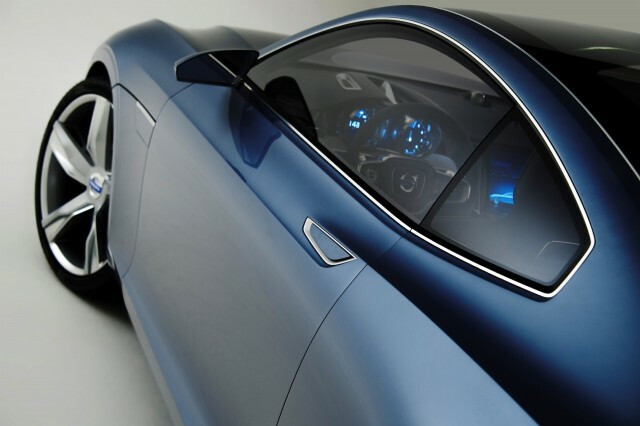 The Concept Coupé combines this expertise into a four-cylinder, supercharged and turbocharged gasoline engine driving the front wheels, and an electric motor for the rear axle. It's part of Volvo's new Drive-E engine family, and won't be short of performance--400 horsepower and over 440 pounds-feet of torque is predicted. The details don't extend beyond that, but if its electric drivetrain is in any way similar to that of the Volvo V60 Plug-In Hybrid we drove in March, an electric range of between 20-30 miles is a possibility. There's nothing retro about the new concept, but it's possible to detect some P1800 in its proportions, the strongly-defined rear haunches and the wide, narrow grille. The interior too, thanks to the use of modern touchscreen technology and clean, Scandinavian design, is closer in spirit to simple classic vehicles than it is today's button-festooned cabins. Unique interior accoutrements include a crystal gear lever, the large portrait central touchscreen, and tasteful interaction between leather, naturally-aged wood and machined metal details. Combined, they're "an excellent example of how we will make Volvo customers feel truly special," says interior design director, Robin Page. 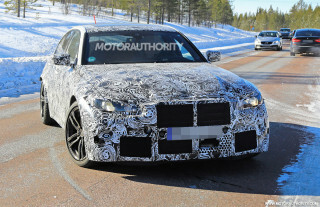 Elements likely to appear on future production Volvos include the T-shaped LED daytime running lights, the new, wide grille, as well as some of those interior details. Volvo is already well on the way to creating some of the automotive world's most pleasing cabins--the Volvo V40 we tested recently a great example of this--and vehicles influenced by the Concept Coupé could enhance that further. More than anything else, Volvos are known for their safety. To ensure this reputation continues, Volvo's Scalable Product Architecture, which underpins the concept, is being built with autonomous driving features in mind. The Concept Coupé doesn't drive itself, but lays the foundations for cars with autonomous steering for avoiding accidents--due by 2014--and fully autonomous vehicles before 2020. Volvo has previously stated that it hopes no driver is killed or even seriously injured in one of its vehicles by 2020. Autonomous features will certainly play a part in that aim, but minimizing distractions and excellent crash safety will continue to be a priority for Volvo. The 2013 Frankfurt Auto Show opens to the media on September 10--stay tuned for even more coverage from the event.